Summary: The STI-34100 wireless driveway has a decent solar powered sensor that detects cars only. However, I recommend the Dakota 2500 because it has a higher quality motion sensor (accurate and no false alarms). The Safety Technology International STI-34100 features a solar powered magnetometer sensor that will detect any moving large metallic (iron or steel) object. 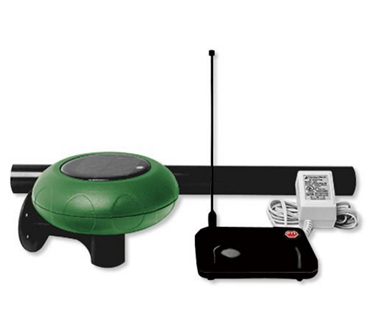 The packages include 1 chime receiver, 1 receiver antenna, 1 solar powered motion sensor, mounting hardware, AC adapter and 2 AA rechargeable batteries. Whenever the solar powered magnetometer sensor will detect a vehicle, it will send a signal to the receiver. You will then be notified be notified by a chime and a flashing LED. The STI-34100 wireless driveway alarm features a solar powered magnetometer sensor. In comparison to other alarms, the sensor does a decent job detecting cars. However, you will get false alarms every now and then. I recommend the Dakota 2500, which has a state-of-the-art motion sensor.